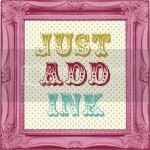 inkyloulou Designs: Deary, deary me!!! Where did the last month go???? Deary, deary me!!! Where did the last month go???? Hello out there to anyone who is still checking my blog. I wouldn't be surprised if there is no one left checking in. And can I blame you??? It has been a month and a day since I last posted anything. I really can't believe it has been that long. Really, where does the time go???? I was told last night, by some special friends (***Hi Ali and Tanya***) That they have stopped checking my blog because I never post anymore- so here I am girls- a post for you!!! I won't make any promises like I did in my last couple of posts or any excuses (I have been very busy and had a very sick little boy though- hahaha) but I will try - I really will- to blog some more because I am creating just not posting. So last night I held my first workshop since the beginning of December- in fact only my 3rd workshop EVER and it was so much fun!!! Thank you Ali for hosting it for me. I tried out some new things and I think it went really well. 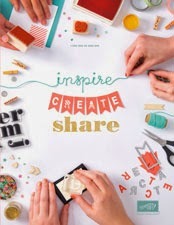 And as an added bonus the very, very, super talented Tanya Tahir (see her blog HERE) who was a guest at the workshop is now going to be part of my monthly stamp club. Yay Tanya!!!! I'm not going to show you in this post what we made last night even though they are super cute because I think I may be going to make another 40 of them (yes that's right FORTY) to take with me, along with 40 cards, to swap at the Stampin Up! Convention in Sydney next week. Oh I haven't mentioned yet - I AM GOING TO THE SU CONVENTION IN SYDNEY NEXT WEEK!!!! I am super excited can you tell!!!????!!! Well that's all for me tonight. Off to bed- crossing everything that my little one will wake up feeling better in the morning (tonsillitis, croup and a cold in the space of 8 days is no fun for anyone). Looking forward to showing you some cards that show off my new found love affair with paper flowers tomorrow. Yay! A blog post...and I got 2 mentions!! haha Love your cards...you are super talented and you did a great job at the workshop! WEll!!!!! You best be posting a blog post ASAP about Convention or I'll... I'll.... I'll just have to keep visiting!!! bwahahaha. So wonderful to finally get to meet you. Had a BALL!!!! Must catch up soon.